At Blennerhasset School we have an active Student Leadership Team (StLT). Children from across the school are selected to represent the school. 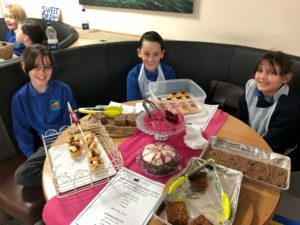 The children are encouraged to make decisions, plan and organise fund raising activities and make suggestions that will help to improve our school even further. Blennerhasset Student Leadership Team members are responsible for a small budget which supports the children to develop their skills in financial literacy and enterprise. In previous years we have asked the students to identify a specific project that they would like to be involved with, these have included Outdoor Provision, School Garden Project, Woodland Area, Assessment, Reading for pleasure, and mathematics. The projects are directly linked to an action plan in our whole school improvement plan and by working in partnership with the staff and governors the StLT provides the voice of the children in our school. In 2016-17, we worked together as a whole school to raise funds to build a new classroom following the flooding in 2016 which destroyed our outdoor classroom and PE store. We are having to look at more flood resilient options so cannot replace like for like. The children had a target of £5000 to raise and worked their way through a series of monthly challenges to meet this goal. 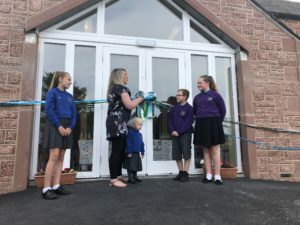 The Community Classroom was completed in June 2018 and with the help of our wider school community we raised over £50,000 towards the build – quite an achievement we think! Within the StLT we also have an Eco Committee working within our school who focus on encouraging others to reduce, reuse and recycle. We are developing ways to make our school more environmentally friendly and are working towards our Eco Schools Awards. We have achieved both our Bronze and Silver awards and are looking at how we can achieve our Gold award and Green Flag. One of the projects we are currently planning is the development of our garden area and our playground spaces. Mrs Harrison-Longworth mentors the StLT but members of school staff and parents take responsibility for leading elements of student leadership including Sports Leaders and Playground Leaders. In 2017 we introduced Head Boy and Head Girl positions in school and the children in Y6 applied and presented their ideas for improving and developing our school to our selection panel. For 2018-19 we have developed an extended leadership team. Our Head Boy for 2018-19 is Sam Gray and our Head Girl is Holly Carruthers.